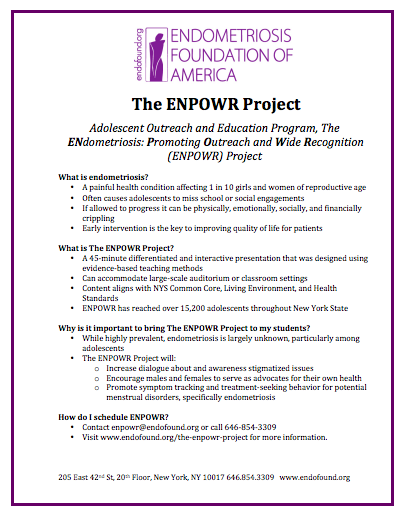 The ENPOWR™ (ENdometriosis: Promoting Outreach and Wide Recognition) Project is a school and community-based endometriosis education program, the only one of its kind in the United States. ENPOWR™ raises awareness and promotes treatment-seeking behavior through an interactive lesson. 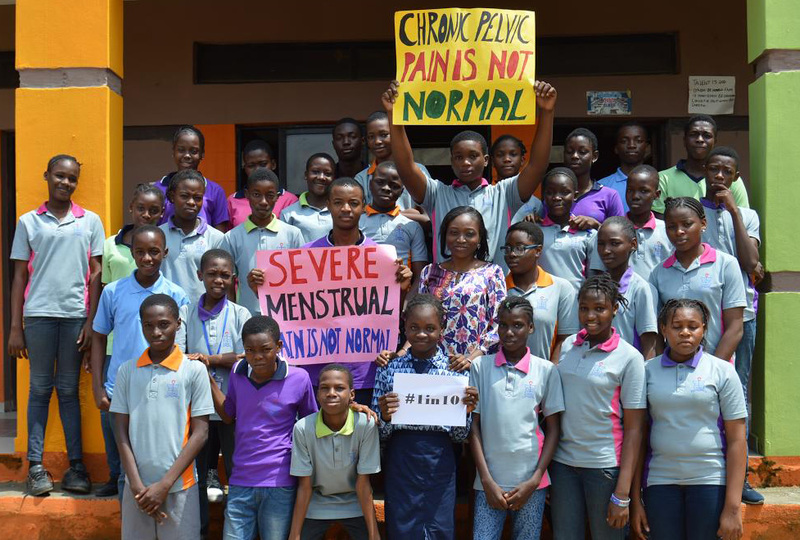 In 2016, Endofound launched the Endo EduKit to bring this critical education to scale across the country and around the world. The lessons are available free-of-charge to teachers and volunteers. If you are interested in learning more about the Endo EduKit, please complete this form.